This is a painting my mother, Georgina, did some years back, as a gift for my uncle in England. She kept a photograph (the old chemical variety, not digital) which I later scanned and printed for her. This is a low resolution version. If I ever find the scan, I'll update with one of higher resolution. 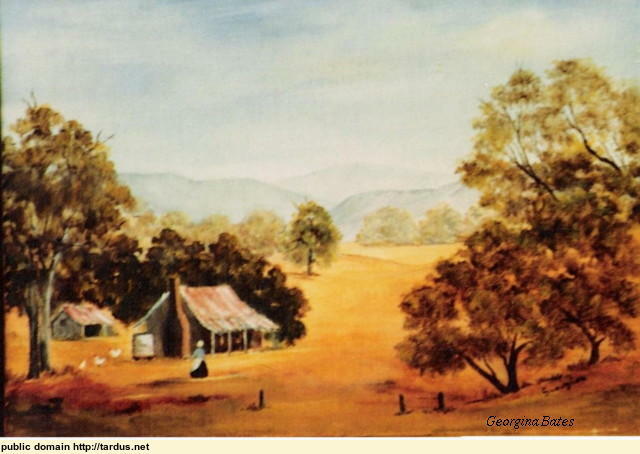 The family dubbed it "Australian Story" since it is a scene from early settler life.